Natural bamboo suit, with unique design ,magical under garment is without steel ring, hook and slide fastener. Make use of strength of the back straight stretch to support the breast. Natural bamboo magic suit, make use of cross-circular elastic effective to control fat movement of tight verruca, so that the thigh is firming, smooth and the dream of a classy legs shape will be occurred. 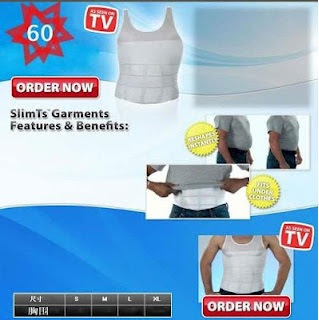 Adakah produk slimming suit/corset lain masih boleh didapati. Terima kasih.